Rosa (the Rose Month) takes place from June 13th – July 10th and is the month at the beginning of the season of Summer. The mystery for this season is the Assumpta; the Celestial Mother assuming our souls into Her communion. Kyria Nike, Lady of Strength and Victory, is the patron Aeon for this season. Her red colours and Fire element coincide with the rising heat and the high sun at this time of the year. Roses are a fitting symbol throughout this season, which also represent the innermost temple of our souls, as scripture tells us. This is a time of year for strengthening our spiritual selves and harnessing the gift of light that blesses us. The sun reminds us of our Supernal Mother whose love blazes and shines down upon us, even at night when the Daughter reflects Her glory like the moon above. On this second Aeon Feast Day, we give thanks to Kyria Nike (Sai Vikhe). She is our Lady of Victory. We look to Her for physical and emotional strength, courage, chivalry and protection. 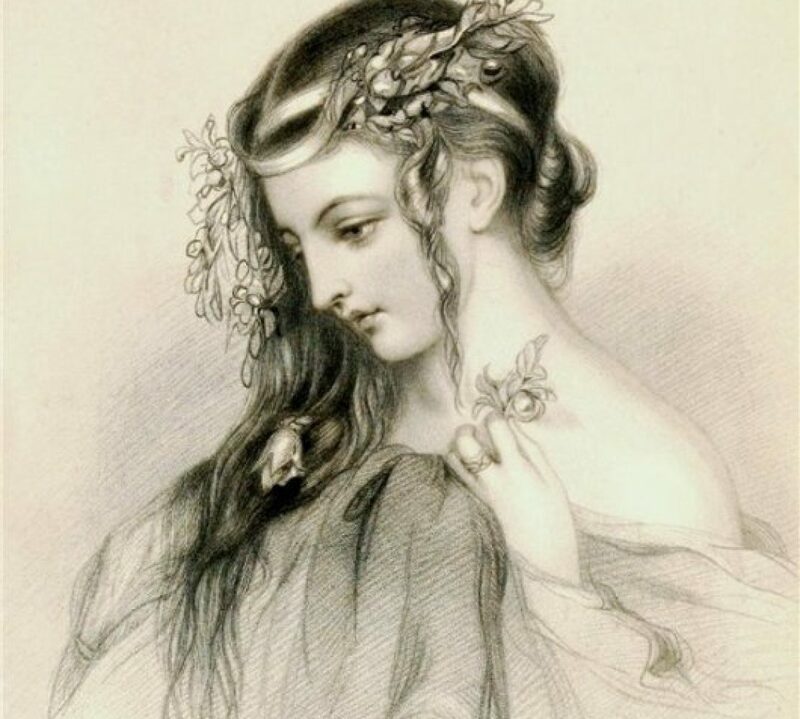 Queen Aine was a Celtic Goddess. Scripture tells us that fairies, nymphs and sprites were born from Our Mother’s laughter. This is a day for honouring the energies of nature. The Celestial Mother, Sophia, is the Assumption of Our Souls. We follow the Daughter’s path to return to the Pleroma and be at one with Our Mother. It is also the Feast of Roses. Déa Sophia is the Fiery Rose of Heaven, while Déa Zoe sits as the Rose of our Hearts.